Look, I know you’re busy and my weekly Revelations don’t always respect that. So allow me to show unusual sensitivity and cut to the chase. Not all your money and all the gaudy trappings that go with it, just a snippet; you won’t even notice it’s gone. Of course, one man’s snippet is another man’s fortune, but if we’re going to nitpick every proposition in what is sounding less and less like a heart-wrenching appeal and more like an infomercial, we’ll never get this over with. 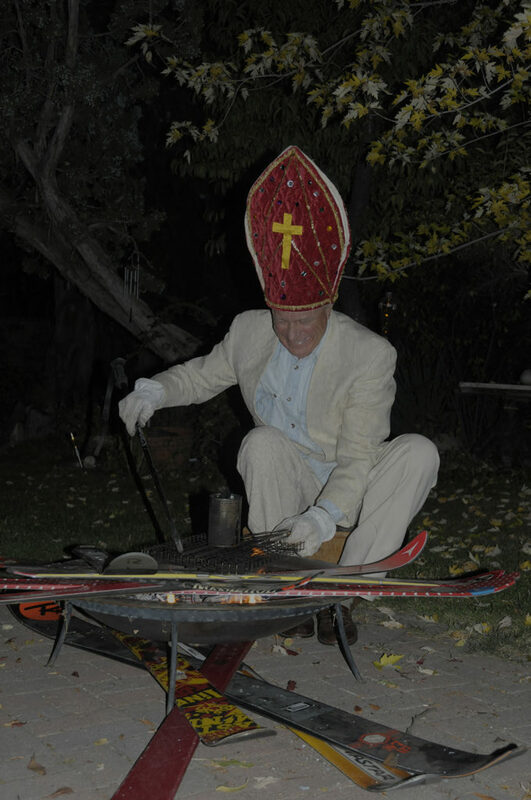 While the Pontiff is accustomed to privation, his domestic challenges have forced him to sacrifice part of his treasured collection of archival skis in order to heat his daily ration of beans. How do I know you haven’t already paid? I don’t, but it’s only because someone would have to look it up and all the interns are busy. So if you’re already paid up, you can skip this Revelation but you might as well read on, since you’ve already paid for it. The rest of you, lean a little closer to the screen so you can hear me. Let me tell you a little story. There once was a man named Greg Wozer (US distributor for Leki and a peach of a human being). Greg wrote me one year saying he should send me money since he read me all the time and – here’s the hook – he felt as he did when he listened to NPR without contributing: lousy. After he sent money to NPR he felt much better, so he wanted to send me some so he’d feel even better. That’s actually more heart-warming than it is heart-wrenching, but cut me some slack; writing 170 ski reviews, as I did this summer, can cause light-headedness, amusing skin rashes that look like medieval saints, the heebie-jeebies and a lot of gerunds that won’t go away no matter how often I spray them. It doesn’t take a doctor, or at least a very good one, to tell I need help, more specifically, your help. Don’t you love having a site devoted exclusively to alpine skiing that’s uncluttered with ads? Once you dig into Realskiers.com, you’ll realize this is the inside dope you can’t get anywhere else. When you’re face to face with your Maker, do you think the mere $19.95/year is going to hurt your chances? I happen to know that quite the opposite is true. 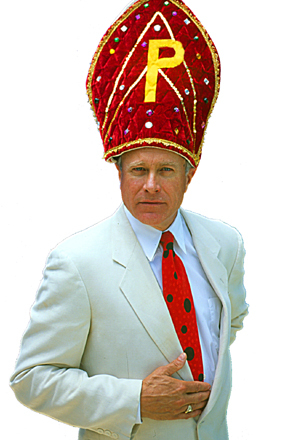 Remember, I am the Pontiff of Powder, which carries a certain amount of ecclesiastic weight when it comes to deciding whether you’ll spend the afterlife in first class or in steerage. Can you be certain this is true? Of course not; if you knew it was true, it wouldn’t require faith, and where would you be without your faith? So go ahead and insure your eternal premium afterlife package. And remember, membership confers the privilege of conferring directly with His Powderness, so don’t delay. Beleaguered interns are standing by to record your generosity. Please no tipping – you’ll only give them hope. Bless you all, but particularly those of you who pay.